This year’s topic of the International Day of Forests on March 21st is “Forests and Water”. It’s a very important topic, especially in urbanizing cities, where reducing stormwater runoff by urban forests and trees has become important part of stormwater management. 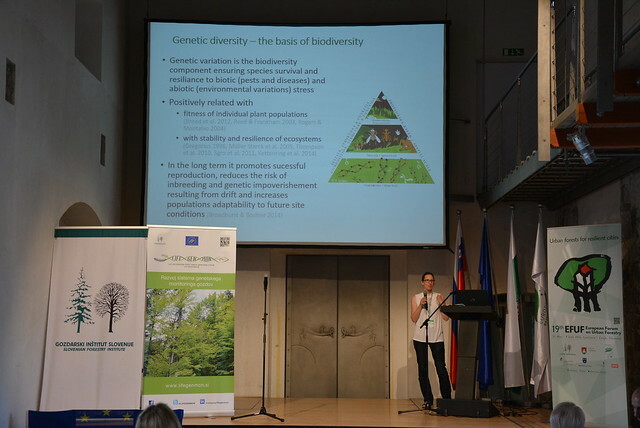 Read about this in a blog written by Dr. Urša Vilhar, research fellow at the Forest Ecology Department of the Slovenian Forestry Institute. The ability to mitigate stormwater runoff in many urbanized watersheds around the globe has decreased. Stormwater runoff associated with an increased amount of impervious surfaces in the cities is the main cause of flooding, poor water quality, and deteriorating stream health. How can urban trees reduce stormwater? Urban forests and trees have a great potential for reducing stormwater runoff by enhancing soil infiltration and evapotranspiration, as well as regulating the amount of throughfall reaching the ground via rainfall interception by tree crowns. Trees can also absorb water in the soil by root uptake. Together, the roots and leaf litter stabilize soil and reduce erosion. Since the amount of impervious surfaces, e.g. parking lots, roof tops, driveways, and roads is increasing in many urban communities, rainwater cannot infiltrate and runs off as stormwater. In urbanizing cities, management of urban forests and trees has become important part of stormwater management. Urban forests, trees, vegetation and pervious soils beneficially affect urban watershed hydrology by their ability to intercept, evaporate, transpire, infiltrate, and store rainfall. Water cycle in urban forest and in the city. Canopy interception loss by urban forests or individual city trees accounts for 4 to 50 % of annual or seasonal rainfall. Trees and their associated tree pits may reduce surface runoff from asphalt by as much as 62 %. How can urban trees improve water quality? Research has found that water quality is strongly related to runoff. Stormwater flows into the community’s stormwater system or flows directly into the urban streams, lakes or wetlands. Before reaching a stormwater system or water way, stormwater picks up and transports loads of nutrients, heavy metals, organic pollutants, and other harmful substances from roadways, sidewalks, yards, and homes. Tree roots, leaf litter, and vegetation can remove pollutants, sediment, and nutrients from the stormwater, lessening the amount of harmful substances reaching our ground or surface waters. Among plant types, trees have an exceptional ability to capture and filter multiple air pollutants, including ground-level ozone, sulphur dioxide, nitrogen oxides and particulate matter. Finally, tree canopy over streams and wetlands can reduce water temperatures, thereby increasing dissolved oxygen and reducing the formation of nuisance algae. Using natural vegetation as a low impact development and best management practice can be an effective technique to control stormwater runoff on site, mitigating the impacts of urbanization on surface runoff and pollutants delivery at a local scale. 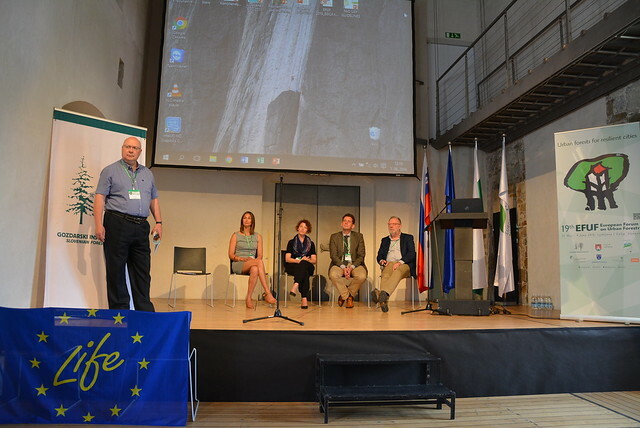 Relative contribution of different land cover classes in the City of Ljubljana to ecosystem services, related to regulation of water flow and water purification. The highest capacity to provide water flow regulation was indicated for wetlands and mixed forests. The highest capacity to provide water purification services was indicated for mixed and coniferous forests. The lowest capacity for both ecosystem services was indicated for urbanized areas. (Results of the Life+ project EMoNFUr). Do not over fertilize or over irrigate trees, lawns or gardens. Route excess stormwater to bioretention areas made of a vegetated buffer and a soil bed to filter pollutants, store water, and prevent erosion. Include tree and vegetative strips in parking lots to collect, store, and treat the runoff. Maintain and increase the amount and width of urban forest buffers around urban streams, lakes, and wetlands.